Iran oil show is one of the largest oil show in the world and very influential for oil and gas industry. AIPU will attend Iran Oil Show this may with a stand at hall no.40. AIPU is a manufacturer of solids control equipment, shale shaker screen, drilling waste management equipment and oil sludge treatment equipment in China. We invite all friends that interest in these equipment to visit our stand and talk further operation in Iran or China. AIPU main products: shale shaker, desander, desilter, mud cleaner, vacuum degasser, poor boy degasser, decanter centrifuge, screw pump, centrifugal pump, submersible slurry pump, mud agitator, mud tank, mud gun, mixing pump, mixing hopper, vertical cuttings dryer, oil sludge treatment system, etc. Double deck shale shaker. AIPU supply double deck shale shaker with 8 screen panels option install composite material shaker screen for better performance. 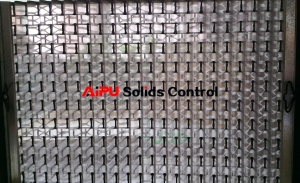 There are 4 screen panel on top for coarse mesh screen and 4 screen panel on bottom for fine mesh screen. 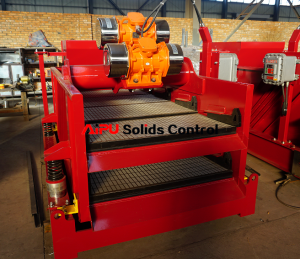 Single deck shale shaker. 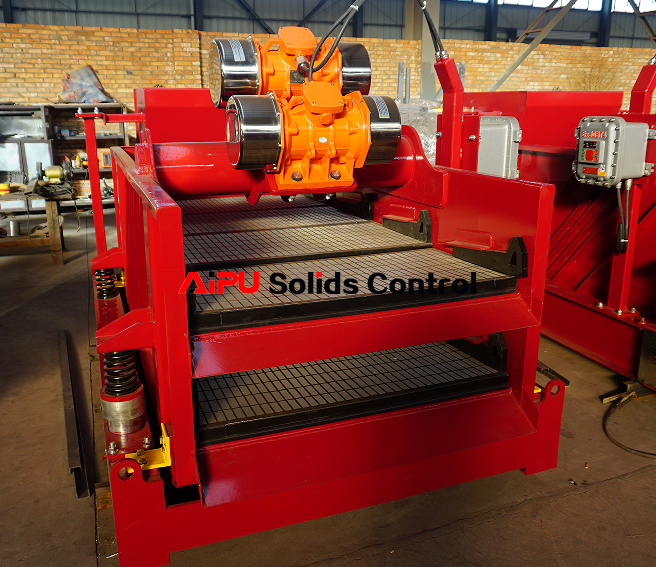 AIPU supply single deck shale shaker with 4 screen panes, 3 screen panels and 2 screen panels option. There are composite material and steel material screen both for above shakers depending on client requirement. 2 panes screen shaker normally for desander or desilter bottom drying shaker. The 3 panes and 4 panes screen shaker mainly for first phase cleaning in a whole solids control system. Shaker screen. 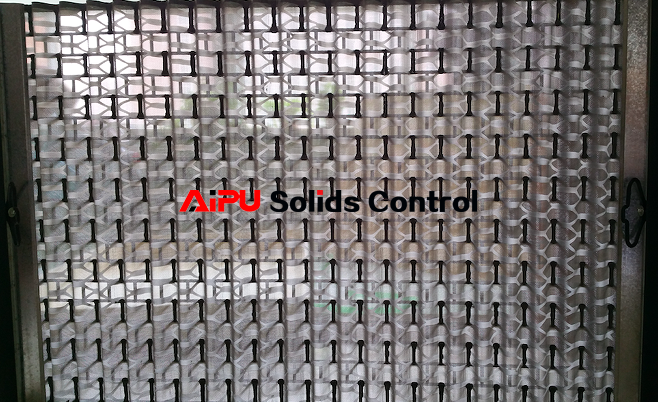 AIPU build shaker screen with various size to match different model of shale shaker. It can be steel material, composite material or PU material depending on size of shaker screen. Some shaker screen is frame type, some is hook type to suit different model of shale shaker.